Historic Designations: What Do They Mean? One of the first things professional preservationists are likely to ask when they encounter an endangered place is, “Is it listed?” Meaning, is it a National Historic Landmark? On the National Register of Historic Places? Or perhaps covered in a state or local designation? For people who don’t spend their days steeped in historic preservation, though, it’s not always easy to remember what separates a national landmark from a local one -- not to mention all the stops in between. To help you keep all the historic designations straight, this toolkit outlines the four main areas of historic recognition a building can have and what protections they do (and do not) provide. have the potential to yield new and innovative information about the past through archeology. There are fewer than 2,500 National Historic Landmarks nationwide. Also, all NHLs are automatically included in the National Register for Historic Places (but not vice versa). focuses on buildings that are more than 50 years old (newer buildings must be especially significant). 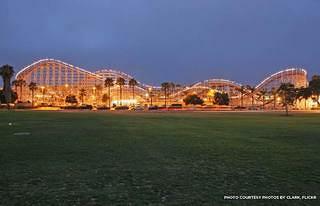 The Mission Beach Roller Coaster, a National Historic Landmark in San Diego, Calif. However, both do offer protections -- in the form of significant legal hurdles -- in the event that federal government work threatens a place (when building a highway, for example). They may also make property owners eligible for preservation funds and federal historic tax credits. Where the rubber starts to meet the road from a property owner perspective is at the state level, where state registers are managed. In many cases, listing here triggers regulatory protection from state government actions or governs whether a property owner is eligible for tax benefits and incentives. Not all states have registers, but the National Conference of State Historic Preservation Officers website can connect you with your state’s historic preservation office, which should be able to fill you in on the ins-and-outs of your state’s policies. Communities may choose to put greater protections in place for their historic resources by enacting a preservation ordinance. The ordinance creates a process by which properties may be designated as individual landmarks or as contributing structures within a historic district. They offer the most protection for privately owned buildings due to review requirements. 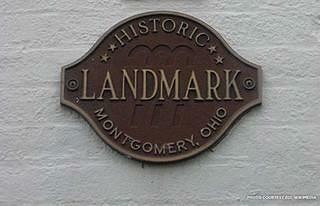 A local historic landmark plaque in Montgomery, Ohio. They help property owners begin to see themselves not only as owners but stewards of history. Adapted from “Preservation 101” prepared by the Preservation Leadership Forum.